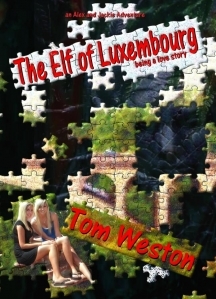 Alex and Jackie are back with a new adventure in The Elf of Luxembourg by Tom Weston. Sisters Alex and Jackie O’Rourke vacation with Aunt Anne and Uncle Jim in Luxembourg. Along with shopping, they find an unexpected adventure involving vampires and an elf. Hundreds of years ago, the lands of the Muisca were invaded and the wife and son of Cuchaquicha, kidnapped. While many treasurers were gained, what the invaders truly sought was El Dorado. The vampires believed Cucha could draw out the elf who was the guardian of El Dorado, but their plan failed. Four hundred years later, Jackie and Alex are traveling the streets of Luxembourg, when they are given a strange gold coin. The coin and a meeting with a handsome and mysterious stranger pulls the girls into a dangerous adventure that places them in the middle of a battle between the vampires and the elf. The story of Cuchaquicha and his desire to be reunited with his wife and son connects Alex and Jackie to the past, but it is also a love story that readers get to see unfold as the book progresses. Weston has a different style than many of the YA books I’ve read. He chooses a third person narrator to unfold the story, versus having it be told from the point of view of one of the young main characters. As a result, he is able to share the rich history of landmarks in Luxembourg up to the present day. This decision does have its drawbacks, however, as it doesn’t allow the reader to get inside Jackie’s and Alex’s heads. For a character-driven reader, this style might be a challenge. That said, this was the same style Weston used in First Night, and even though I am a character-driven reader, I requested to review the second book in the series. The Elf of Luxembourg is a great addition to the Alex and Jackie series. 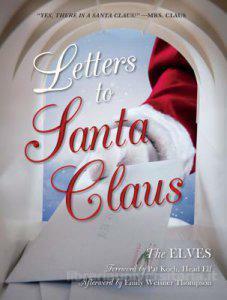 With the popularity of Twilight, I’m certain this book will have many fans.